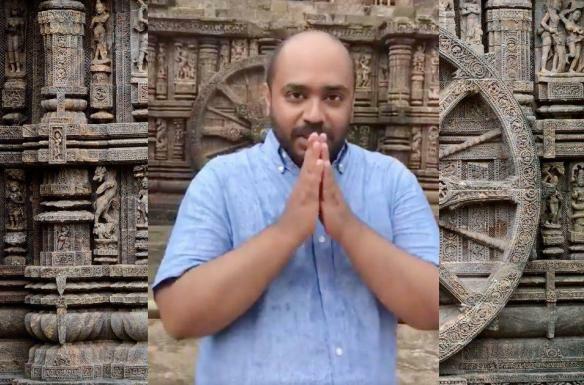 ONI Bureau: Delhi-based Defence Writer Abhijit Iyer-Mitra, who has been in jail since October 23 over his alleged derogatory remarks against Odisha, has been admitted to Capital Hospital in Bhubaneswar following illness. Reports suggest that Abhijit has been suffering from stomach pain and put at the surgery ward. He has been under severe mental trauma and stress, leading to his illness, it’s believed. Abhijit was taken for a medical check-up to Capital Hospital from Jharpada Jail on Friday. He later returned to jail. However, his condition further worsened, forcing the authorities to shift him to the Hospital. It was reported by a national media house few days ago that Abhijit had lost over 10 kg in the last one month or so. Abhjit was arrested for allegedly hurting religious sentiments of people by making derogary remarks against Odisha and the Konark Temple. He was summoned by the Odisha Assembly for criticizing MLAs. He was later forgiven by the House Committee. Due to the lawyers’ strike and delay in judicial proceedings later, Abhijit is struggling to get bail and languishing in prison.